Home Lifestyle It’s My Birthday – Let’s Get To Know Each Other! It’s My Birthday – Let’s Get To Know Each Other! 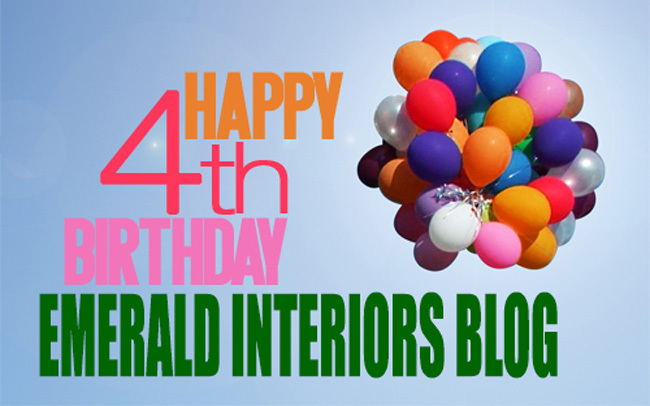 Today is Emerald Interior Design Blogs 4th birthday! I thank you so much for all your encouragement and support. It really means a lot to me. While I established Emerald Interior Design in 2008, it was another 2 years before I started blogging. And it was on 2nd October 2010 when the words “Hello World” stared out from my computer screen! One of the things I love about blogging is the way you get to connect with people from all over the globe. It’s a weird but amazing friendship where you can form a bond with people without ever having met them. But even though we’ve a shared interest and are virtual friends in this little community of ours, we don’t know a lot about each other! So that got me thinking. I saw this post from Camila over at Effortless Style a long while ago and I really liked the idea so I thought I’d give it a go. It’s a fun little “Getting to know you” Q&A which hopefully will help us to learn a little bit about each other. Just copy and paste the questions below into the comment section and add your responses. 3. Last purchase for your home: As many of you know, we have just sold our home and we are looking for a wreck we can renovate. We are living with my mum in the meantime so I’m going through a stage of withdrawals not having bought anything recently 🙁 But I’m happy in the knowledge that soon we’ll have a new home to fill. 4. Favourite place in your home: I love entertaining so it would have to be the dining table. That’s where family and friends come together, sit around the table, eat, chat, laugh and simply enjoy each others company. 5. Favourite place in the world: Pretty much anywhere that big orange thing is in the sky! But I do love the Adriatic coast as the scenery is just stunning, the food is delish and the people are so welcoming. 6. Tea, coffee, wine, spirits or beer: All of them….. I’m Irish 🙂 But in order of importance coffee, wine, beer, tea, spirits! Now it’s your turn. I’d love to hear your responses. Again just copy and paste the questions into the comments section and add your response. My name is Karen Hughes and I'm an Interior Designer from Dublin, Ireland. I’m passionate about design and I started this blog as a way to connect with others just as passionate as myself. I tend to ramble on about all sorts of things, projects I’m working on, people, places and things that inspire me (and some that don’t). So put the kettle on, get comfy and settle in. I hope you enjoy your visit and don't forget to say hello. Visit my website to find out more about my services and view my work. Hi Karen and happy birthday. I’m a long time reader and first time commentator so hear goes. Tea, coffee, wine, spirits or beer: coffee – I need it with 4 boys! Hi Karen, Many Many happy returns of the day. May be I’m little late but its better to be late then never I’m Emmy I live in Lake Mary United sates. I work as Interior Designer for a local firm here in Orlando. Hi Susan, thanks for commenting. I love hearing people enjoy my blog. 4 Boys! they must keep you fit 🙂 Good luck with the play den. Thanks Emmy. I hope things are going well in the world of Interior Design on the other side of the pond 🙂 Thanks for visiting. Hi Karen, I love your blog, and I have subscribed to your email updates and love when a new one appears in my email. I hardly ever comment (sorry!!) but this sees like fun – I’ll play along. I’m a sun person too. We were in Tenerife this year and loved it. 3. Last purchase for your home: I just had a few windows replaced (including 3 that were original to the house from 1950!!!) Sooooo drafty. 7. Decorating Wish List – Punch out the back wall of this tiny house to expand the livingroom, one bedroom, and add a second bath. 3. Last purchase for your home: a duck shaped brush to clean my potatoes. But we live in a house we are redecorating as we go and there is still so much to do! So I hope my next purchases will be more important. 6. Tea, coffee, wine, spirits or beer: tea, tea, coffee, tea. Some red wine so I don’t forget my origins. Hi great to meet another Dublin blogger 🙂 Just read your beautiful tribute to Billy Barry. Dublin has lost a legend, she will always be fondly remembered. Happy Birthday Karen. 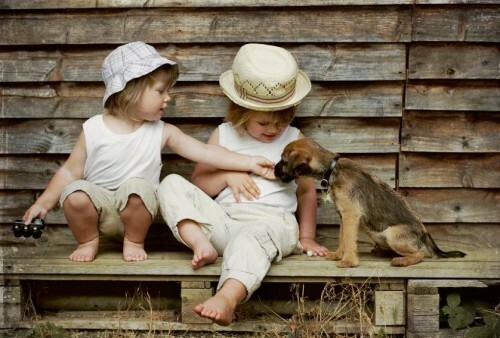 I have just discovered your website and blog….. love your photos and and your dog! 3. Last purchase for your home: I am giving my hallway a makeover at the moment so I purchased beautiful Laura Ashley wallpaper for the facing entrance wall (Trailing Honeysuckle) – great sale at L.A. at the moment! I purchased a bright yellow colour for the two side walls (mixed Dulux Spring breeze no. 2) which may be a little too bright so I am hoping the wall paper, which has a white backround may calm everything down. Its a little adventure so we will see what happens! 7. Decorating Wish List – if money was no object, what design project would you like to do in your home: I would build a small extension into the garden and knock through my tiny kitchen making it more ‘open plan’. Visit Emerald Interior Design's profile on Pinterest. I believe in intellectual property rights and provide links and cite sources where possible. If I have failed to give the correct credit, please let me know by email to info@eids.ie and I will amend the information as soon as possible. Also I expect to be credited if any of my images or words are used elsewhere. Unauthorised use and/or duplication of this material without express and written permission is strictly prohibited. Excerpts and links may be used, provided that full and clear credit is given to Emerald Interior Design with appropriate and specific direction to the original content. © 2017 Emerald Interior Design.